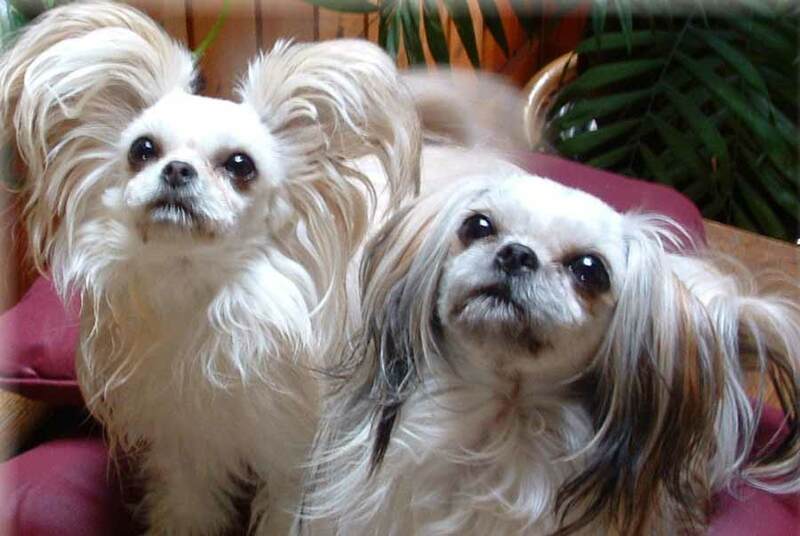 Mi-Ki can trace his roots to the Papillon, Japanese Chin, and Maltese, although there may also be some other small companion breeds in this dog breed. Bred strictly for companionship, the Mi-Ki is not yet recognized, but the through a strict breeding program, including DNA profiling the Mi-Ki are being developed and refined into a new pure breed. The Mi-Ki breed standard says that the Mi-Ki should never exceed 10 inches in height or 10 pounds in weight. The head is rounded, the eyes are large and dark, and the erect or dropped ears should wing out from the head. Heavily fringed ears are preferred. The body is slightly longer than tall. The tail is plumed and carried over the back. The coat is silky, single (with no undercoat), and may be any color. The coat should be brushed and combed every other day to keep it clean and to prevent matting. Dogs being shown do need a specific trim; potential owners should discuss this with a breeder prior to getting a Mi-Ki. The Mi-Ki coat is supposed to be non-shedding, but Mi-Ki dog breed experts say that this characteristic is not yet firmly established throughout the Mi-Ki breed. The Mi-Ki is a very small companion dog who enjoys walks and playtimes outside but should always be kept in the house. These dogs like to play and will often amuse themselves with their toys. The Mi-Ki dog breed enjoys training that is fun and positive. A very social breed naturally, socialization is needed to prevent possible shyness to strangers later. Many Mi-Ki serve as therapy dogs. As with so many very small dogs, housetraining can take some time. The Mi-Ki does not do well when left alone for many hours each day; he does best with an owner who is home a lot and wants a tiny canine shadow. Although normally good with children, the Mi-Ki is too small for rough play. Health concerns include luxated patellas, eye problems, and allergies. Note: Upload only Mi-Ki picture or your picture with Mi-Ki below - spammer's ip may be blocked.